A Somali man charged into a Columbus, Ohio, restaurant on Thursday evening and immediately began attacking innocent patrons with a machete, according to reports. 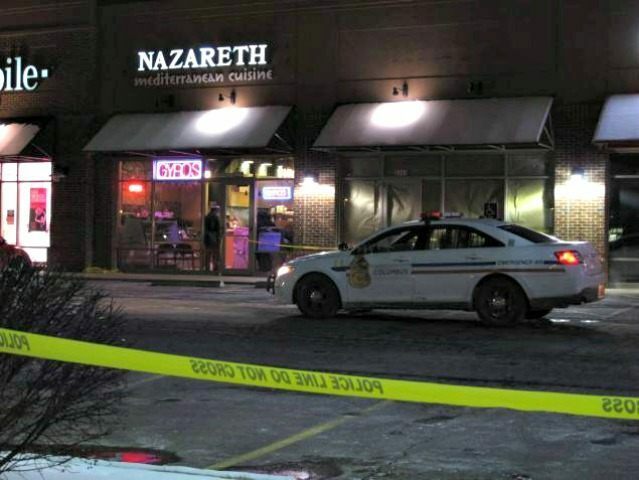 “Four people were injured in the brutal attack Thursday evening at Nazareth Restaurant and Deli, a Mediterranean restaurant in Columbus. The victims were taken to an area hospital and were expected to recover,” CBS reports. Columbus and the larger central Ohio area is home to the second largest Somali population in the country. Yet many Republican lawmakers seem unaware of the social and cultural impact that large-scale Muslim migration has had in their own backyards. For instance, in an October interview, Breitbart News asked House Freedom Caucus Chairman Jim Jordan about the vast number of Muslim migrants that have resettled in Ohio. Specifically, Breitbart News asked Jordan about reports that document how, as a result of large-scale Muslim migration, more than 20,000 girls in Ohio are at risk of having their sexual organs cut from their bodies through the non-Western practice of female genital mutilation. The Middle East represents the fastest-growing bloc of immigrants admitted into the country on visas, according to a census data-based report authored by the Center for Immigration Studies. Student visas for Middle Eastern countries have similarly grown enormously, including a 16-fold increase in Saudi students since 9/11. Arabic is now the most common language spoken by refugees, and 91.4 percent of recent refugees from the Middle East are on food stamps. As a result of unbridled Muslim immigration, half a million U.S. girls are now at risk of suffering the barbaric and anti-Western tradition of female genital mutilation. Sen. Jeff Sessions has documented how much of the domestic terror activity in the United States has been caused, in large part, by the nation’s federal policy of importing migrants from Muslim countries that encourage anti-Western sentiment. The U.S. admits more than two times more Muslim migrants each year than there are Jim Jordan voters in Ohio’s fourth Congressional district — and roughly half of these migrants will be able to apply for citizenship. According to Pew, only 11 percent of American Muslims vote Republican or lean-Republican. However, throughout Breitbart’s October interview with Jordan, he was seemingly unaware of the visa gusher that has transformed pockets of his own state of Ohio. Since 9/11 the U.S. has resettled on a permanent basis roughly 1.5 million Muslim immigrants on green cards. As a result of the expansion to the refugee program in the Ryan-Obama omnibus spending bill, the U.S. will issue nearly 300,000 visas (both permanent and temporary) to Muslim migrants over the course of the next year alone. While in October of last year, Jordan said he had “not looked at” whether Muslim migration ought to be curbed, House Speaker Paul Ryan has a very clear view on the matter. Ryan’s pro-mass migration counterpart in the Senate, Sen. Marco Rubio, has similarly demonstrated his desire to continue and even expand large-scale Muslim migration into the United States. Rubio denounced Trump’s plan to temporarily pause Muslim migration. Rubio said, “To have a religious test would violate the Constitution”— thereby suggesting that Muslim foreign nationals have a constitutional right to immigrate to the United States. In December, Rubio also voted down an amendment offered by Sen. Rand Paul to pause migration from 30 Muslim countries with jihadist movements. Similarly, last year, Rubio introduced an immigration expansion bill–known as the I-Squared bill–which would have allowed for an unlimited expansion in Muslim migration. Rubio’s bill has been endorsed by several of his top financial boosters.